Located approximately a 3-4 hour's drive south of Bangkok (200 km), Hua Hin is a pretty seaside resort on the Gulf of Thailand. 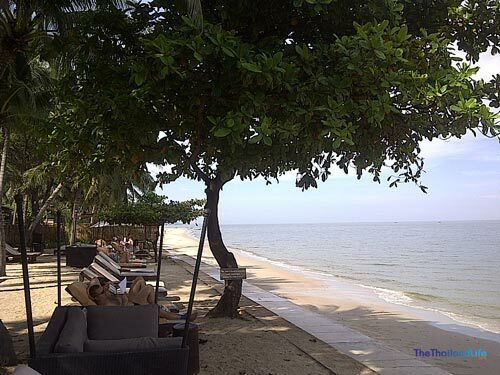 It boasts a five-mile long beach, and the highest density of world class golf courses in Thailand. A historic fishing town that neighbours the also popular Cha-am, Hua Hin long been a favourite getaway place for Thai high-society, with businessmen and movie stars escaping the intensity of the city for a weekend of fresh air and relaxation. Hua Hin is perhaps most famous for Klai Kangwon Palace (meaning Far From Worries) , built in 1928 by King Rama VII . The Palace remains an official royal residence. Notably, King Rama 9 stayed there from 2002-2006. 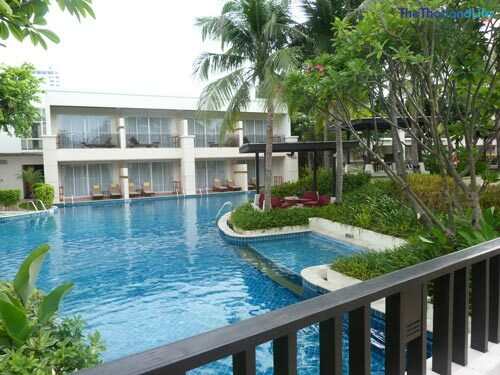 The weather in Hua Hin remains warm to hot throughout the year, with only small variations in temperature. The year begins with the dry season (December-April). The monsoon season arrives in May. Rains then ease from June to August. The heaviest rains begin in September and continue through November. 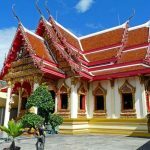 Central Hua Hin might be small and quiet in comparison to Bangkok and Chiang Mai, but it packs into it's perimeter everything you need, including some fantastic cuisine in both budget-priced Thai restaurants like and upper-end foreign dining. 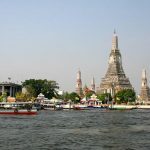 If you're looking for a holiday with nightlife, however, stay in Bangkok or on one of the popular islands like Phuket. Hua Hin is like a ghost town after 10pm! But then that makes it the perfect place to get up early for a stroll on the beach. And strolling is best, as swimming isn't so great in this part of Thailand. The main beach is wide and offers a long walk. If you’re looking for an out of town beach getaway for a couple of days then หัวหิน (the Thai spelling) is perfect. It's not the best beach in Thailand, I must admit, but it's a decent option for a Bangkok getaway. Parts of the beach are really long and wide, so if you like walks and the kids love space to play then it's spot on. And, if you hire a car, Cha-Am is only 20 km down the road, which has a worthwhile beach offering various water sports and delicious Thai street food. You'll find mainly Thais at Cha'am beach, but if you want the authentic Thai beach experience, this is it: pure chilling, eating, talking, playing games and NOT going in the sun until after 4pm! Hua Hin beach isn’t a tropical looking beach as such, but it's vastness, coupled with great sunsets and epic views, make it rather special in my opinion. Its core appeal is that it tends to be much quieter than the popular beaches down south, and therefore makes it a great place to walk and catch up with your thoughts, so to speak. 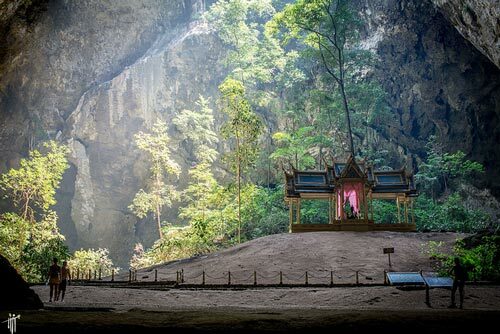 While it may lack the coconut trees of Samui, or the rock-blessed hills of Phuket, it really does offer a different experience. Although the donkey rides can be a tad annoying during high season, the main strip that runs alongside the Hilton Hotel pleasantly lacks the hassling hawkers and over bearing tourist presence of the likes of Chaweng in Samui or Kata in Phuket. Other than strolling along the beach and visiting the night market, there are a number of activities you can consider for the family. Like all tourist destinations in Thailand there's the usual Thai massage and spa places, cooking courses, trekking, cycling, diving, snorkelling, water sports, and fishing. But for something a little different check out the sea cruises to Sam Roi Yod National Park. Khao Sam Roi Yot is a marine national park that covers 98 km, of which 20 km are marine areas. The park was established in 1966, and was the first coastal national park of Thailand. In recent years, Hua Hin has become renowned for its kite-boarding. People flock from far and wide to this coast to catch the winds that come off the sea and provide the thrill of surfing with a kite. Of course, this is largely a seasonal activity in the windier months, but if you like a thrill, you might want to check out this wind map. It's Thailand's most famous, dating back to the 1920s. I wouldn’t recommend catching a train though, as the schedule seems somewhat relaxed (Thai style); it was four hours behind when I enquired! Worth seeing but not waiting for a train. 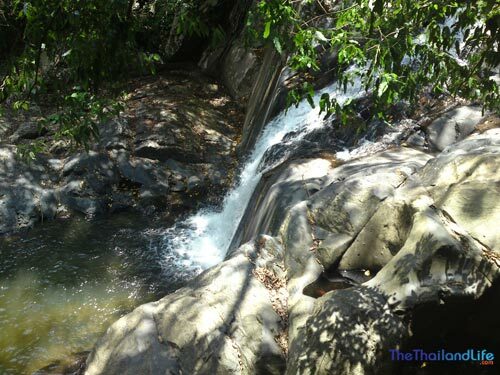 I suggest you also visit Kaeng Krachan National Park and climb the waterfalls. The layers seem to go on indefinitely but I believe there are 16. Be sure to take a big bottle of water though, or you might struggle on the way down — as I did in the soaring heat. It's a fair drive from Hua Hin, so get a taxi if you haven't got a car. You could do the journey on a moped but it would be a fair old trip. In hot season there isn't much water. You really shouldn't leave without visiting this temple either. 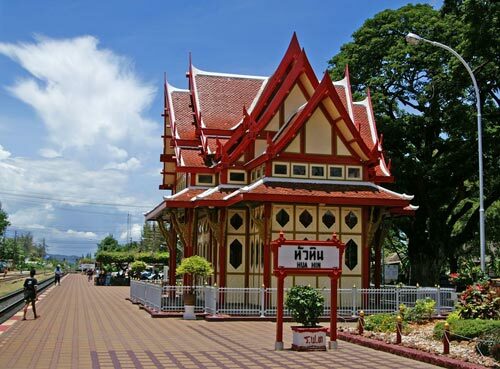 It was home to the immensely popular monk Luang Pu Thuat, famed for performing miracles. The beautiful Wat Huay Mongkol houses the largest statue of Luang Phor Thuat in Thailand in a park-like setting. Seriously, you won't believe how big this is! Lastly, for more shopping check out the charming Cicada Market. This is a delightful shopping strip nestled under huge, old trees. It offers contemporary art, handicrafts and general cool stuff. Hua Hin after dark is pretty quiet, which suits the type of holiday you'll have here. Once you've had a nice meal, it will be time to head off to the Hua Hin Night Market. The market is a lot smaller to the night markets you'll find in Chiang Mai, for example, but it houses some great restaurants serving both Thai and European food. It's also a treat just to soak up the vibe and have a stroll. You may find things are a tad pricier than Bangkok, but then it’s always good to contribute to the local economy, and they'll be a fair few nik-naks you won't be able to resist, I'm sure. Once you've had a meal and bought a Hua Hin t-shirt, you'll need to head over to near the beach road to find a bar (if you want a drink), most of which are pleasant enough – but a tad dingy all the same. It's not as bad as some of the bars you might find in downtown Bangkok, but if you want something a bit classier I suggest heading for a drink at the awesome Lotus Sky Bar, housed at the top of the Hua Hin Hilton Hotel – the view is incredible! Hua Hin isn't for the party animal and the pace is pretty slow, but its beauty is that it's “different”. And that's one thing I've come to love about Thailand – every corner of the Kingdom has something unique to offer, be it tradition, food or architecture. Whatever you do, don't overlook this coastal jewel in the crown on your travels. Even if you visit for just a few days to recharge your batteries, you won't regret your stay. 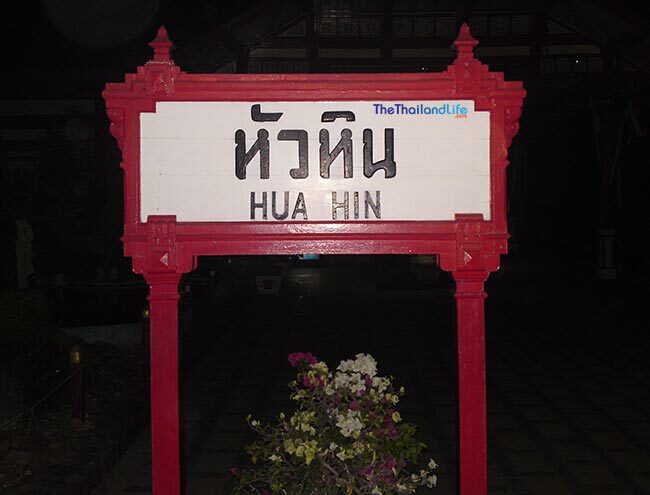 Hua Hin railway station is part of the southern rail route that starts in Bangkok. Trains run all day and night between the cities. Don't expect to arrive or leave on time. There are buses direct from Bangkok to Hua Hin, and those that make numerous stops on the way. Pay extra and go direct; this will take about 7 hours. Catch a minivan for approximately 200 Baht from Bangkok. The journey takes about 4 hours. If you can afford it, I advise a private minivan, which will cost around 3,000 Baht each way. The shared minivan may be a bit squashed and may do some drop-offs along the way that delay you. Hua Hin airport as suspended the daily flights schedule from Bangkok to Hua Hin. The airport is said to start commercial flights again at the end of 2017. This small hotel is close to the city centre. It's cool for one or two people but I wouldn't recommend it for kids. The rooms are average size but wonderfully decorated in authentic Thai style. There are rooftop views of the coast and city and a small pool on top of the hotel. The breakfast is average and the dining room small, but it's central, very clean and 5-minutes walk from the beach. It's pleasant and means you don't need transport into town. Simply amazing. If you want a real family treat that the kids will love, this is worth every penny. You can lie on a lounger and stare out to see, as the hotel backs onto a stretch of beach. The breakfast spread is to die for, and you can stuff some bits in your bag to cover lunch too. The swimming pool flows around the hotel and is accessible from all read-facing rooms. Spa treatments on site too, plus well worth the money. There have a great gym, and a kids clubs too. The Asara rivals the Sheraton. It's on the outskirts of town, though a little closer than the Sheraton. 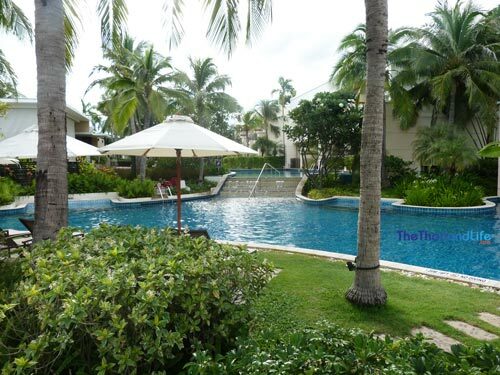 It too is on the beach, and also has a massive pool. There are three restaurants to choose from on-site, and a bunch of workshops you can do like yoga and cooking. Massage treatments and spa are also available. The rooms are bigger at Asara, but the pool and the breakfast at the Sheraton are epic. Both offer a mini-van into town and back in the evening. 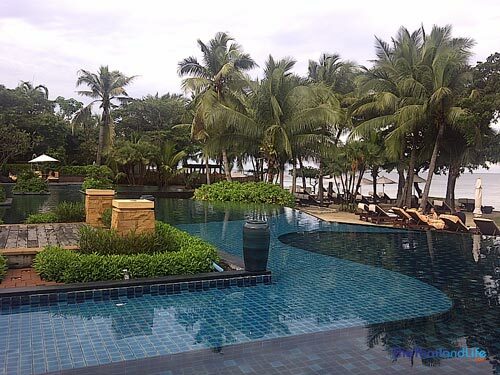 If you fancy getting out of the bustle of Bangkok for a few days, or want a long weekend doing nothing in a nice hotel with your partner, Hua Hin is the quintessential seaside escape. The beach gets better and wider towards the town end, but don't expect anything island-like. The sea is good for water-sports, but for splashing around you might be better to go up to Cha-am. Chilling, walking, shopping in the market, eating, reading and dipping in the pool should be your plans. The town closes early, so don't centre your holiday around that. There isn't much to do there anyway. Sure, activities are available, but day-trip type stuff that takes you miles away. My advice: Treat yourself to a top hotel with great facilities, chill all day and take the free shuttle into town and back in the evening. You left out one huge Hua Hin beach related detail - JELLYFISH There are loads of them and some can be deadly like the infamous BOX JELLYFISH OF DEATH. I have never seen so many HUGE jellyfish in my life.I was stung and it was no big deal but the propensity for scars, trips to the hospital and even death is there. many threads on various forums detailing this nasty sea phenom. People - please be very careful and swim in the hotel/condo pool.It's not worth ruining a vacation or your life over.Yes it is that serious! the Thai torist board plays this down so you've been warned! There is a jellyfish risk there and hotels and locals will advise on this. 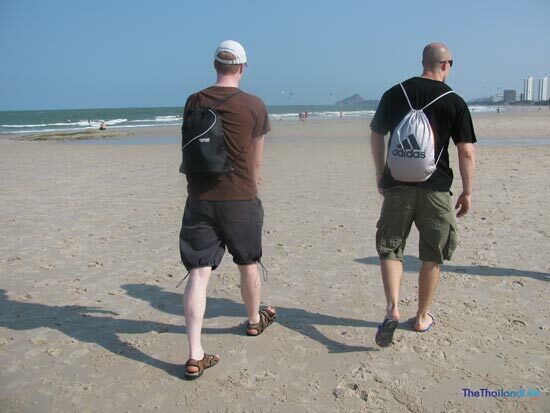 I was there once when there were loads of jellyfish in the sea (on the Hilton stretch in Hua Hin), but not box. I have a post about the box jellyfish in Thailand - read that here: https://www.thethailandlife.com/box-jellyfish-thailand . One case in the post is from Cha-Am, not far from Hua Hin. But this risk is not limited to Hua Hin and most attacks have occurred elsewhere. I moved to Hua Hin about 6 months ago, from Chiangmai. I hated Chiangmai!! HATED IT!!!!!! I love it here. The difference between the two are huge. I actually live right dead between Hua Hin and Cha-Am. Love going to Cha-Am beach and eating a fresh seafood dinner on the beach with a cold dark beer. Lot less crowded during the tourist season. The people here are quite a bit more friendly than in Chiangmai. My wife is Thai, and she picked up on that our first day here. Not to mention the HUGE difference in driving. I know my blood pressure is lower here than it was there. This is home. I have got a question for you while I am on here. I have got to learn how to speak Thai. "In Your Opinion", what is the best website to learn. It can't be super boring, I have a very short attention span. Due mainly to the giant snakehead fishing here. Want to go to Malaysia next year on a snakehead fishing trip. They have got some monsters down there. I know that there is a camp, somewhere on the lake on Temenggor Dam, it's supposed to be way back toward the end of the lake with some monster snakeheads. I have been researching, or should say, been trying to research my own kayak fishing trip there. Things are "a little" different here than they were at home as far as just Googling something and reading about it. I know that there has got to be a way to get around the guided trip. If you know of anything/anyone that might help I would love to hear it. Note to travelers, the sun rises from the ocean side (facing East) and sets behind (West), obviously, so don't go expecting to sit on the beach watching a "divine" sunset. Not a dig or a put down, it's just geography but is worth mentioning. Interesting... I've been many times and I'm sure I have watched the sun set from the beach. I will have to look back through my photos and come back to you on that. The beaches generally aren't great anyway. I wouldn't suggest it for a beach break.